Abel Keppy Animal Hospital’s experienced support staff strive to provide personalized, compassionate care for our patients and clients alike. Sharon has lived in the Quad Cities area her whole life. 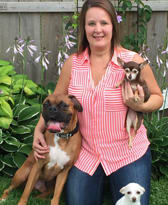 She has worked in the veterinary field for 20 years, 17 of which have been with Abel Keppy. She and her husband Dave have Reuben the Golden Retriever, Reba the Bassett Hound, and 4 cats – Hazel, Grace, Heathcliff, and Hobbes. In her free time Sharon enjoys her grandchildren, going to concerts, and fun on the farm. Rachele joined the Abel Keppy crew in May of 2007. 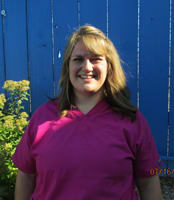 She has worked in the veterinary field since 2000. She enjoys spending time with her family and 4 dogs – Bodhi, Gerdie, Lylie and Zero. Roxie has been with the Abel Keppy family for over 25 years. She enjoys helping clients and their patients. Roxie lives with her dogs Ethan and Bubbert and cats, Ruby, Monster, and Chips. 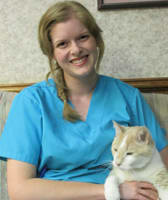 Sierra is a recent graduate from Muscatine’s Veterinary Technician program. She is a Phi Theta Kappa member and Honor’s grad. Sierra is interested in exotic medicine, dentistry, and surgical nursing. She lives in the Quad Cities with her cat Disco, bearded dragon Calypso, and budgies. Hannah grew up outside the Quad Cities near Durant. 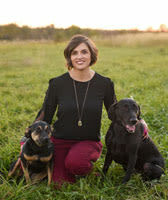 She attended Kirkwood Community College and earned her Veterinary Technology degree. One of the many things she loves about her job is getting to know her patients and their owners! In her free time she enjoys hanging with her family at the farm, including 4 Newfoundlands and 1 Corgi. She likes to go to the gym and workout on a regular basis. She also enjoys antiques and shopping at antique shops. She is also a huge football fan and loves the Denver Broncos. I have been working at Abel Keppy for the better part of a decade. Growing up, I’ve always loved animals and have had many pets over the years. Many of my pets have been adopted. Currently I have a dog named Momo and a cat named Sarafina Fluffy Whiskers. Besides taking care of our boarding pets, I also enjoy crafting and traveling around the world. 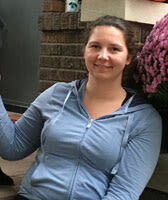 Amy Peterson moved from North Carolina to the Quad Cities in June 2015. 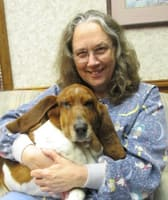 She began working in the veterinary field in 2000. 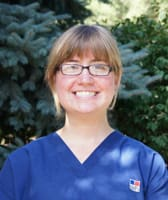 Amy has held many jobs throughout her career in the veterinary field from kennel staff to technician to transcriptionist. She became Hospital Manager in September 2015. 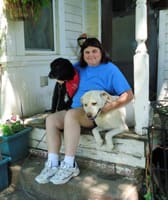 Amy lives in the Quad Cities with her husband Rob, their two children Vanessa and Aldion, and their menagerie of animals including 2 cats: Midori and Murka, 2 guinea pigs: Skyler and Camo, and 3 dogs: Indie, Kylo, and Ruby.